Let’s pick up where I left off… We had a picnic on Easter to hang out and enjoy the day, and I wanted to bring some dessert. Cookies seemed like the most robust option to hold up on a hot day, so sugar cookies and macarons it was! Getting some sugar cookie dough rolled out and shaped! 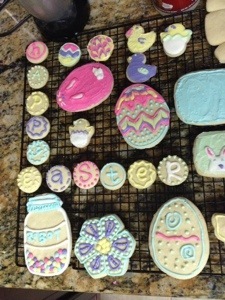 All baked and ready for the royal (icing) treatment! A Red Wings hockey jersey! And… this is me getting a “sports education…” The ugly sweater is a lucky sweater belonging to Georgetown’s basketball coach. That’s basically all I picked up. Either way, I liked it for the cool retro vibe and colors ;). 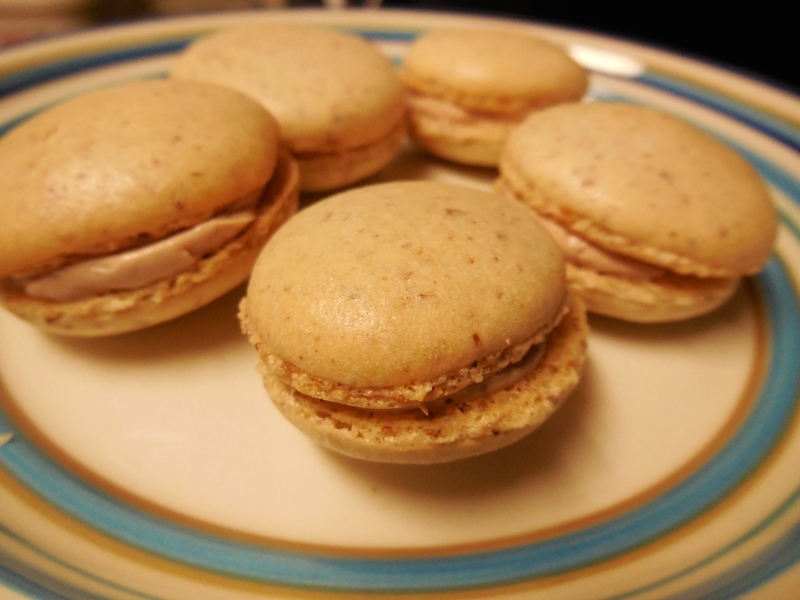 This was my first time making macaron shells- it was reasonably successful. I made plain shells with Nutella buttercream frosting for the filling. 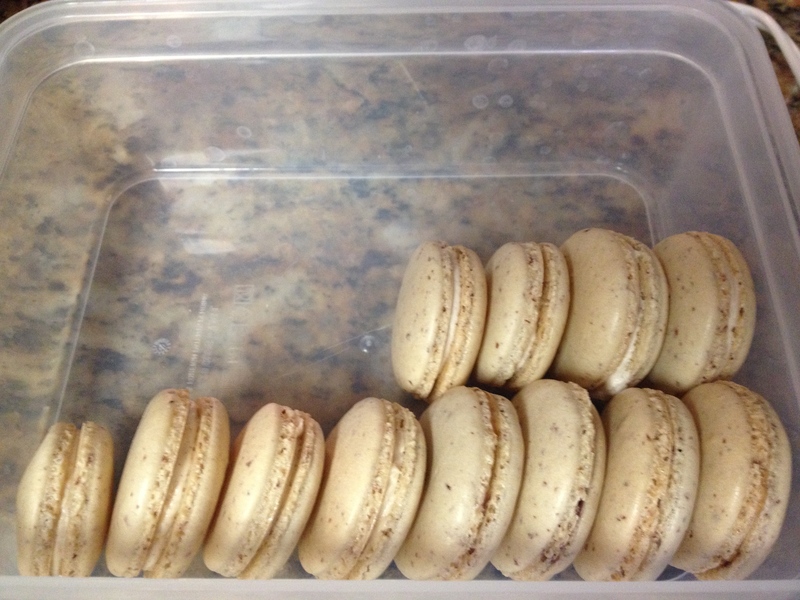 I used the recipe for the shells from Bravetart, as I have been avidly reading baking blogs and stumbled across hers. 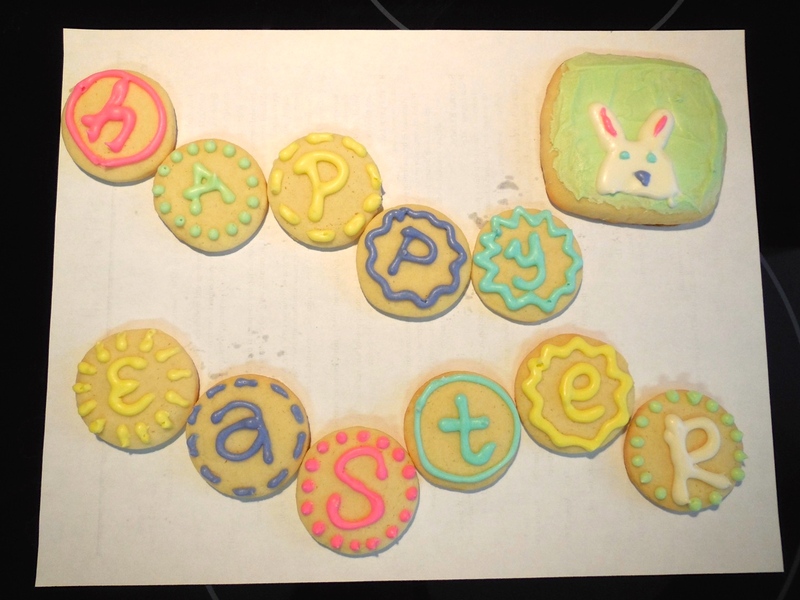 I found that parchment paper worked best for my needs (I had tried using a silicon mat with the little indented circles, those did not work at all for me). Also, I probably should invest in better cookie sheets. The tiny sandwich cookies make me so happy, and I have no idea why. 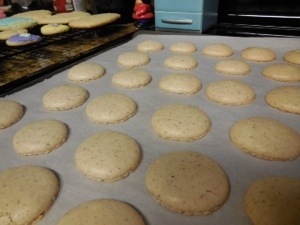 I was proud at how they turned out for my first time- but I caught the “perfecting macaron” fever! More to come on that.